Whether performing a routine surgery or an emergency procedure, you can have confidence that the veterinarians and staff at the hospital will work hard to ensure each procedure is thorough, done with the utmost expertise and is as stress-free as possible for both you and your pet. To minimize your pet’s discomfort after surgery, we typically use a combination of local anesthetics, NSAIDs and pain relievers. 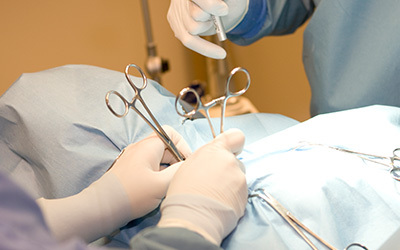 Pain relievers are administered before and after surgery.